My story will be quite different. I'm going to tell it in reverse order starting from current day and going back to the start. Wherever that may be. Aged 40, I coach squash. My bones and muscles won't allow me to compete anymore. Aged 35, I start coaching squash instead of playing competitively. Aged 32 I contract Campylobacter. I'm weakened by the food poisoning for several weeks. I stop playing squash. Aged 30 I start playing county squash for Doncaster. Aged 29 After several sessions on court I contact an old squash friend for him to assess how good I am. "You're a million miles away from being world ranked but play 1000 games and see where you end up." Aged 28 I pick up a squash racket for the first time in several years. I hit the ball like an expert. I contact my old squash coach to ask if I still had the chance to become world ranked. He says "Yes, if you are planning on playing chess; you'll never do it in squash." Aged 14-20 I play squash solo a few times. Less than twice per year. Aged 14 I stop playing squash due to the Miners strike and subsequent pit closures causing a lack of money to allow me to travel to play competitively. Aged 13 D.C.Cook sponsors me for 1 year. In return I have to coach his daughter. 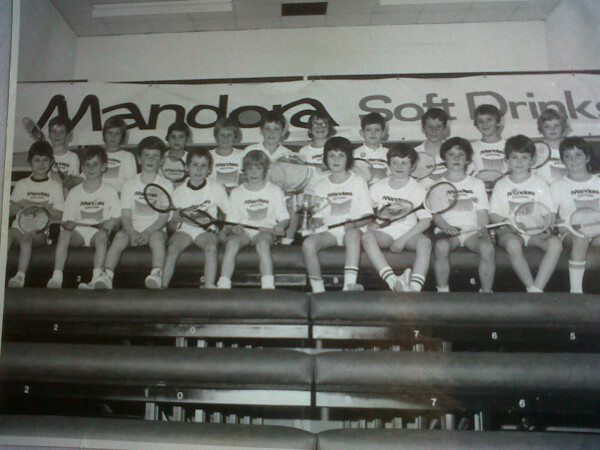 Aged 12 I am ranked number 1 in Britain. I'm training with the England squad. Aged 8-12 I play squash about 5 hours per day. Just about every day. 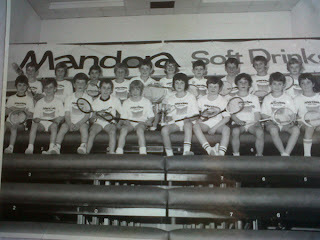 Aged 9 I am coached by Jane Wilson, then Phil Beighton. I am spotted by Malcolm Willstrop and receive coaching from him. I move on to being coached by Jonah Barrington. Aged 8 St. James squash club opens in Wath-upon-Dearne. I lazily go on court to hit the ball with a racket. This is my game.